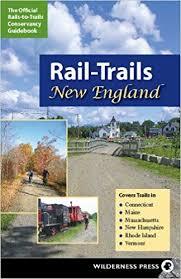 Author Talk & Book Signing, Saturday, Sept. 30, 3pm, EBSCO Hall, 5 Peatfield St., Ipswich MA. Starting on the beach in Delaware, David rode his bike 4,200 miles to Oregon, talking with the people he met on the ultimate road trip. Along the way he learned a great deal about why climate is a complicated issue for many Americans and even more about the country we all share. Climate change is the central environmental issue of our time. But A Hole in the Wind is also about the people Dave met and the experiences he had along the way, like the toddler’s beauty pageant in Delaware, the tornado in Missouri, rust-belt towns and their relationship with fracking, and the mined-out uranium ghost town in Wyoming. 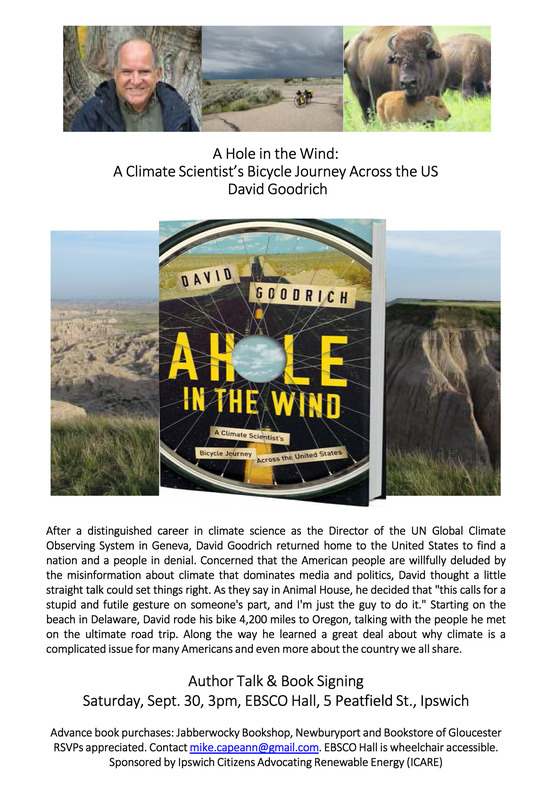 As he rides, David will discuss the climate with audiences varying from laboratories to diners to elementary schools.